Meeting the Wizard. 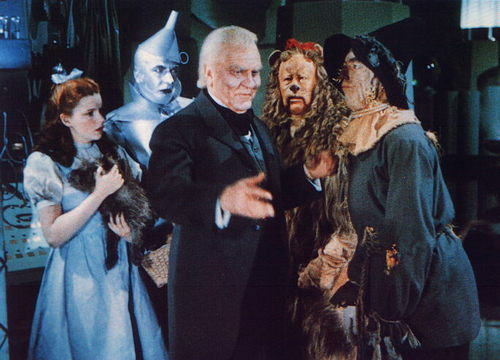 Dorothy and her Friends meet the wizard. Wallpaper and background images in the Le Magicien d’Oz club tagged: the wizard of oz classic film musical judy garland image. This Le Magicien d’Oz photo might contain surcoat and surcot. The scarecrow isn't buying what the wizard's selling! They all look disappointed don't they? Yeah, that wizard was so disappointing at first!